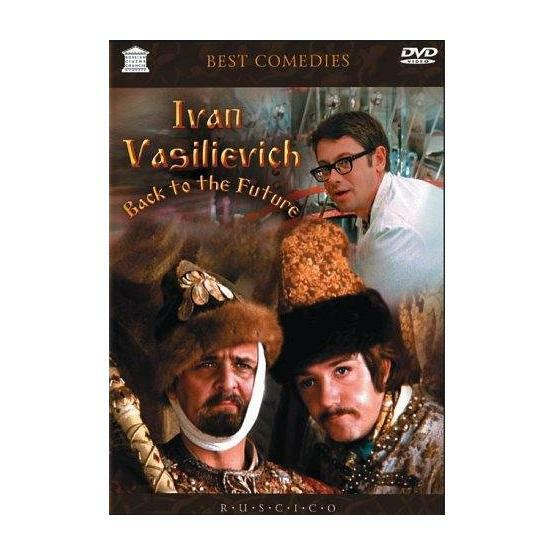 "Ivan Vasilievich: Back to the Future" (1973) is a comic story about time traveling, which gets a Soviet engineer into the 16th century Moscow, whereas Tsar Ivan the Terrible accidentally goes in the other direction. Directed by Leonid Gaidai. Starring Aleksandr Demyanenko, Yuriy Yakovlev, Leonid Kuravlyov, Natalya Krachkovskaya and Saveli Kramarov. TV systems: NTSC, PAL. Aspect ratio: 4:3. Sound format: Dolby Digital 5.1. Language: Russian. Subtitles: Russian, English, French, German, Spanish.